Oils have recently shed their bad rap and once again we can appreciate them for all their beneficial properties. 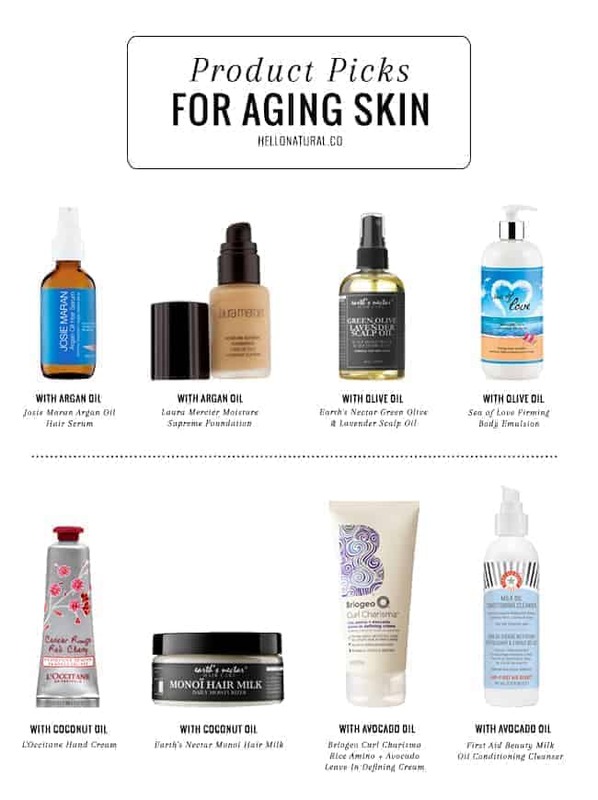 The oil-free ads once permeating the beauty shelves are being replaced with the positive health effects of natural oils, it’s just a matter of finding the right oil for your skin. 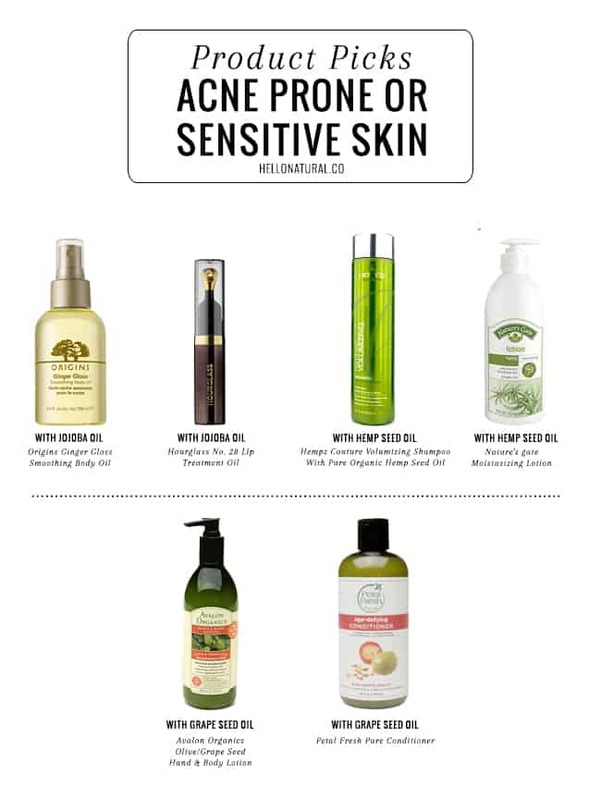 Natural oils can treat, moisturize, protect, and change your skin. 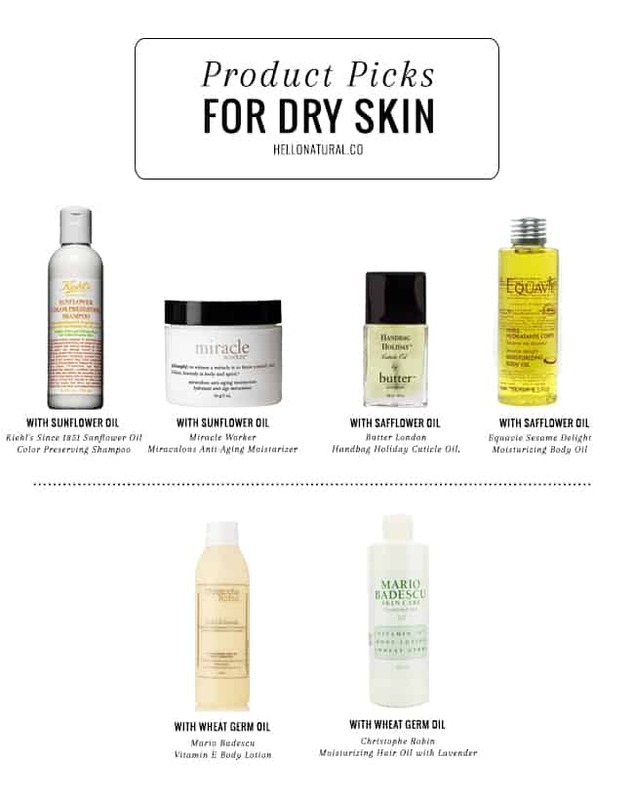 The following guide to the best oils for skin is your go-to resource for getting even more gorgeous. Often referred to as “liquid gold,” argan oil containing high levels of Vitamin E it promotes healthy collagen, treats acne, and premature signs of aging. It’s been used extensively on hair, because of its high content in Vitamin E.
Olive oil is high in vitamins A and E, which have anti-aging benefits. It’s also an intense moisturizer, cleanser and protector, plus it helps fight inflammation (and subsequently sun damage). It’s true, we love coconut oil. Why? It repairs cells, is high in antioxidants, and smoothes skin. It promotes soft skin and hair, giving it a healthy glow, and it can remove makeup. Basically, it’s your skin’s best friend. Avocado oil increases collagen production, and is rich in vitamins A, D, E. Moisturizes and fights free radicals that make your skin age. has astringent properties as well as anti-inflammatory properties. It helps regulate skin’s natural oil production and brightens it with Vitamin C.
can be used alone or add a few drops to your moisturizer, it’s vitamin E provides a protective outer skin layer to keep moisture in. It’s also packed with vitamins A and D and proteins. provides a barrier to prevent moisture loss. It’s rich in vitamin A and linoleic acid, both of which activate cell renewal. is nutrient-rich oil containing vitamins A, B, C, D, and E. This means high antioxidant and anti-inflammatory power, as well as fatty acids and proteins. No matter what your skin need may be or what type of skin you have, there’s a natural oil that can help you have amazing skin!